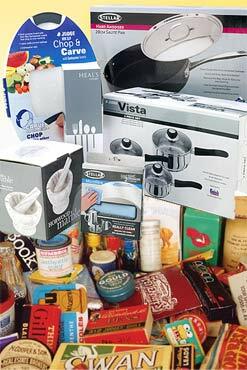 It is Time In Design's goal to provide you with the best packaging products available. We are proud to introduce you to our packaging, where we invite you to step up to a new level of value. As you consider the importance of effective packaging, it makes great sense that the protection and appeal of a product’s packaging should be of primary concern to every business. In fact, custom packaging is one of the most crucial elements to the success of product protection and presentation. Presenting a wide array of stock, custom or contract packaging at affordable pricing, Time In Design's packaging can help companies realize a profitable return for their packaging investment. Why Choose Time In Design's Packaging? Because our customers always come first, we never compromise our extraordinary customer service nor do we overlook the importance of quality in regard to boxes, cartons, films, tapes and various protective packaging items and accessories. As your one-stop source for all your packaging needs, Time In Design's packaging provides a level of knowledge, expertise and experience that is without equal. Given that packaging is created according to a company’s particular needs and specifications, Time In Design's packaging is committed to providing innovative solutions that favorably impact sales at every level. If you require assistance in developing a packaging solution that meets your production demands, Time In Design's packaging has the answer! When you’re ready to step up to a higher level of value, you can count on Time In Design's packaging to fulfill all your packaging needs.